By Lois | 19/07/2015 - 21:54 | 19/07/2015 Friends, Humor, Personal, Things! By Lois | 18/06/2015 - 23:27 | 18/06/2015 Personal, Things! 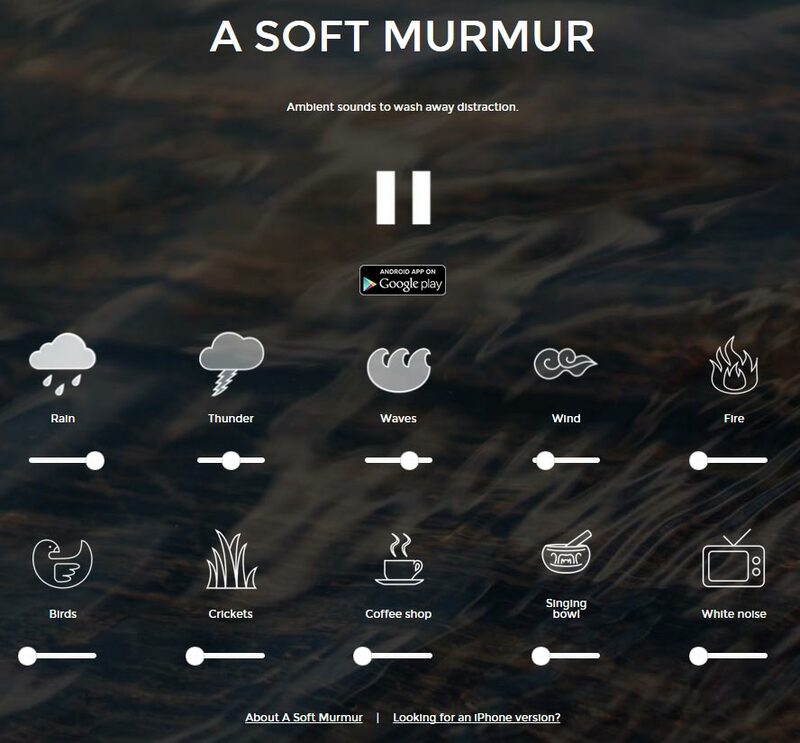 This is the most fantastic thing I’ve seen in a while: A Soft Murmur, which lets you mix your own background ambient noise loop. Mix your own background ambient loop. BRILLIANT. I don’t know how long it’s been out, but it’s fantastic. There’s no hiccup where a track loops back on itself, and you can have all of the sliders up and running if you like and it doesn’t slow anything down, nor does the sound stutter. And you can set it up with timers — a timer to start, a timer to end, and a timer to just gently fade out. They’ve got an Android app, but no iPhone yet. You can even share your own mix. Mine is rain, thunder, and waves, with a little wind and a hint of singing bowl thrown in. I’m absolutely in love. Today is a hollow day.